The Sumatran rhinoceros has lived throughout Southeast Asia for millennia. But over the past century, its population has been nearly erased as a result of poaching and habitat loss. 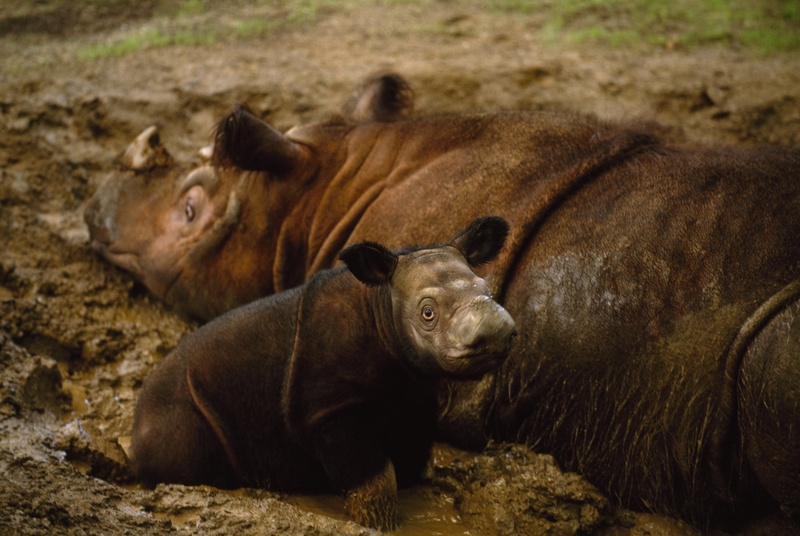 Today there are fewer than 80 Sumatran rhinos left in the world. Hanging on to existence in 10 fragmented sub-populations across two islands, this rhino is so rare that few people have ever seen one in the wild. Separated by mountainous terrain, Sumatran rhinos now struggle to find mates in the wild to breed their next generation. If we don’t act now, the Sumatran rhino will very likely go extinct in our lifetime. 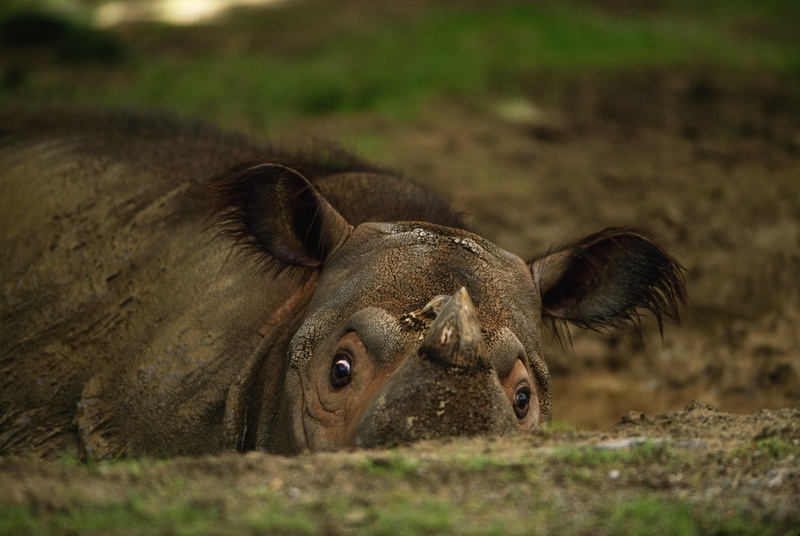 The Government of Indonesia and an alliance of conservation organizations and on-the-ground experts have launched a focused and ambitious international effort to bring the Sumatran rhino back from the brink of extinction. 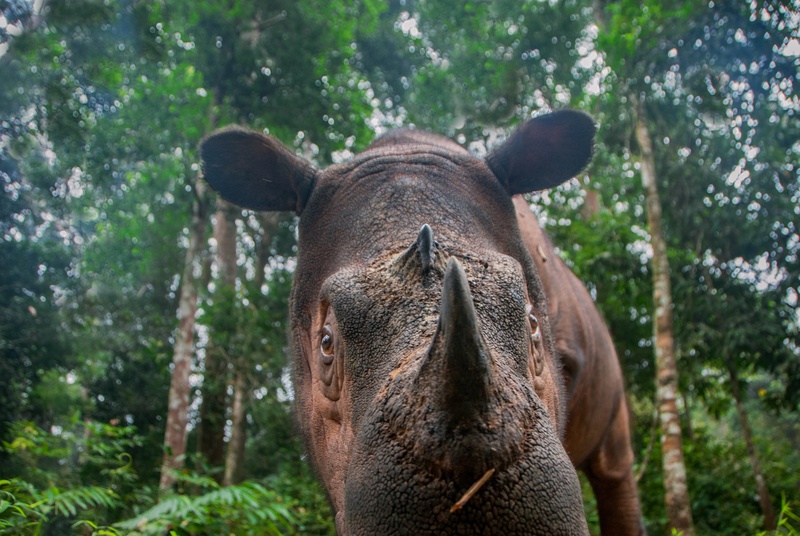 The Indonesian government and an alliance of conservation organizations and on-the-ground experts have launched a focused and ambitious international effort to bring the Sumatran rhino back from the brink of extinction. Establish two new Sumatran Rhino Sanctuaries in Indonesia, one in Indonesian Borneo and the other in northern Sumatra, and expand the existing facility in Way Kambas National Park. 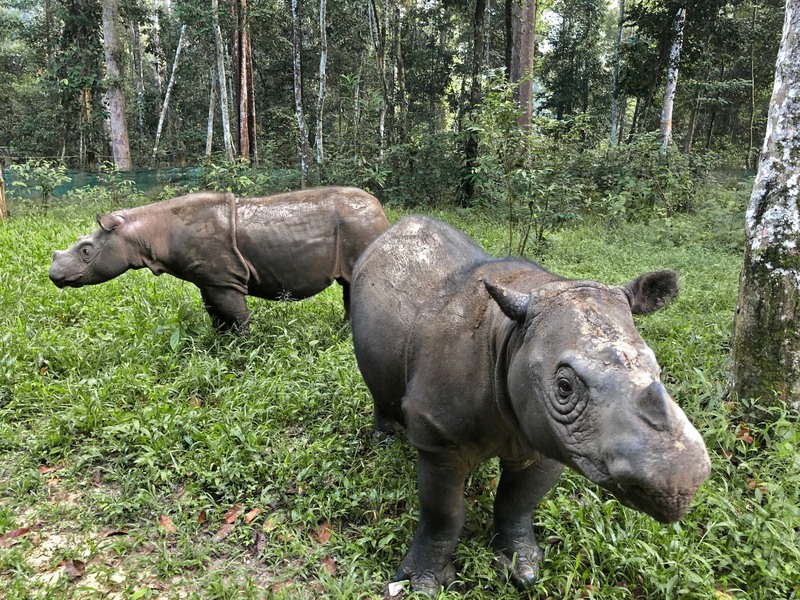 Find and relocate as many rhinos as possible from small, isolated populations across Sumatran and Indonesian Borneo and move them to managed conservation breeding facilities. Incorporate the rhinos into a single conservation breeding program that uses the state-of-the-art veterinary and husbandry care to maximize the population growth rate..
Sumatran Rhino Rescue is a groundbreaking approach to conservation that brings together the Government of Indonesia, leading international conservation organizations, local experts and conservation practitioners, and supporters from around the world to save a species from extinction. Want to learn more about our efforts to save these unique creatures? Sign up for email updates from our team and get the latest news about our search and rescue efforts. Together, we are coordinating search and rescue efforts in Indonesia. Now, it’s up to you to help provide the assets they need to succeed. Give a gift today to fund relocation efforts and support the construction of rhino sanctuaries to ensure a future for this species. If you or your organization is interested in joining this effort, please contact sumatranrhinorescue@ssc.iucn.org Learn more about the Sumatran Rhino Rescue effort and supporting organizations here.